The pattern of the prophetic messages of the Old Testament was: covenant has been broken, better repent; no repentance, prepare for judgment; and, after judgment, restoration and hope. Culturally, are we in this cycle? If we are, where are we in the cycle? Culturally, God is being excluded from all aspects of the culture. God’s truth is perceived as lies, his love as hate, and the hope he offers as nonexistent. The culture has broken covenant with God. But, a covenantal remnant remains. Can the remnant hold the cultural covenant together? Can it secure repentance for the culture? If it cannot, judgment will surely come. 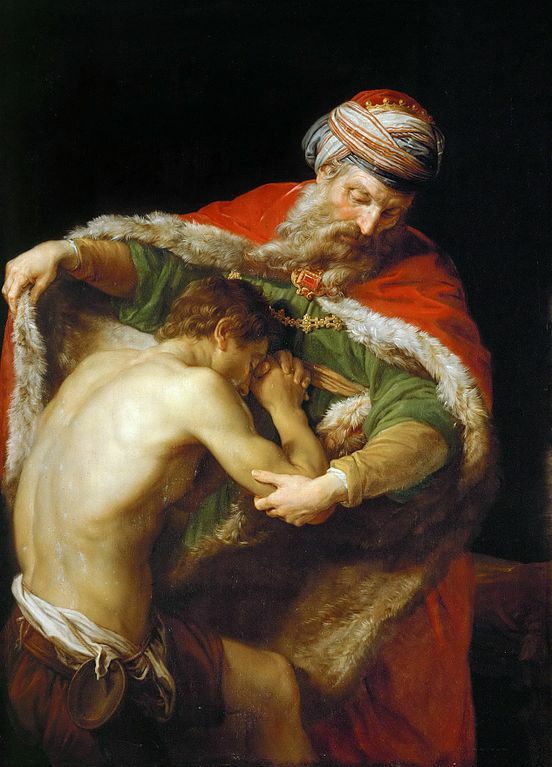 Like the prodigal son, judgment will come not from the father, but from the actions of the son. The judgment on the culture will be a culturally dark period devoid of truth, charity, and hope. The father longingly hopes for the return of his son (his people) and the restoration of his fatherly relationship. A forgiving, merciful and generous father awaits the return of his son. This entry was posted in Essays and tagged Catholic, Catholicism, Christian., Christianity, Covenant, Culture, Dark Period, Hope, Judgment, Love, Prodigal Son, Remnant, The Prophets, Truth. Bookmark the permalink.